Homage to Catalonia I: An Infrapolitical Civil War? These are some first thoughts towards something I’ll be teaching later on in the summer, as part of a course on the Spanish Civil War. Crossposted . This book, then, part memoir and part political analysis, documents a change in Orwell’s perspective, a form of politicization. For, in his words, “everyone, however unwillingly, took sides sooner or later” (198). 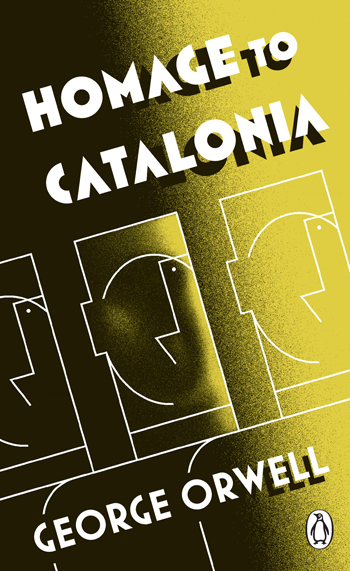 Homage to Catalonia is, as much as anything, an account of how and why Orwell took side, and began to view the array of political acronyms as more than just some alphabet soup. For it turns out that the war had everything to do with politics–“it was above all things a political war” (197)–and so boredom or disinterest are no longer viable options. It is in the name of politics that a certain–largely fictitious–narrative of the conflict had been propagated, and it is likely that it is in the name of politics that the Republic would be lost. Yet, if this is the message of the book, Orwell remains strangely ambivalent about it. He tells us, at the start of his first extended disquisition on the internal struggles between Anarchists and Communists, that “if you are not interested in the horrors of party politics, please skip.” As he notes, he separates out the analysis from the memoir “to keep the political parts of this narrative in separate chapters” precisely so that the disinterested reader can pass over them and continue following Orwell’s personal journey unperturbed. In other words, in this conflict in which “everyone” has to take sides, the reader is carefully shielded from this responsibility. In fact, in later editions of the book the “political” chapters are relegated to appendices, pushed even more to the margins of the main narrative. But does this not allow precisely the depolititicization, or refusal to engage in politics, against which Orwell’s book is otherwise written? Orwell wants both to protect us against the “horrors of party politics” and (if we are curious to read through the appendices that contain them) to tell us that they are essential to any understanding of the situation in Spain–and indeed, Europe as a whole. At one and the same time, the book both directs us to the centrality of political disagreement and aspires to shield us from it. It may then be better to think of this as an infrapolitical book, in the sense that it is about what is simultaneously a necessary link and an absolute breach between war and politics. The Spanish Civil War is at the same time a thoroughly political war and absolutely non-political at the same time. The “horrors” of politics are both inevitable and to be avoided if at all possible. Orwell has both to show the connections between the “common decency” for which he came to fight (197) and the political machinations that make it both possible and impossible, and at the same point to keep them utterly separate. This is, of course, an impossible task, which is why in some sense this is an impossible book, fractured and somewhat absurd. But it is in that fracture that we see the struggle between politicization (taking sides) and commonality (common decency) played out, which are the stakes of the war itself, which ultimately can only be understood in these infrapolitical terms. This entry was posted in infrapolitics and tagged Spain, war by Jon. Bookmark the permalink.